Christy Jacobs was a lifelong resident of Rock Springs, devoted wife, mother of 2, and avid gymnastics fan. She was instrumental in establishing and running Rock Springs Gymnastics as well as a women’s gymnastics judge and choreographer. Her bubbly personality and ability to laugh at anything that stressed her out made her an inspiration to everyone who was fortunate enough to have known her. She positively touched the lives of several generations of gymnasts by instilling in them the value of a positive work ethic and self-confidence. In 2006 Christy lost her battle with acute myeloid leukemia. 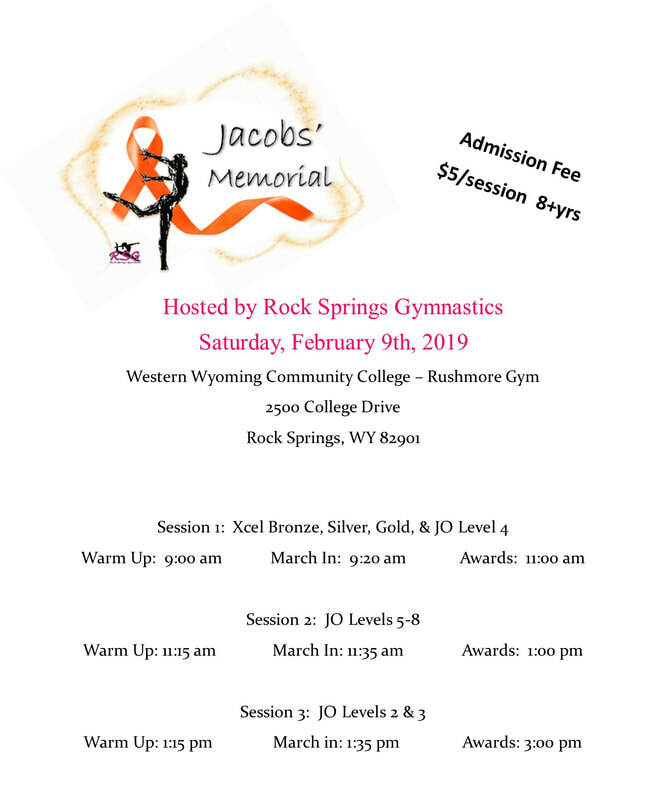 In her honor, Rock Springs Gymnastics annually hosts an orange-themed (for leukemia awareness) Jacobs' Memorial Meet. Throughout her battle with leukemia her moto for life was “Nothing is worth more than this day.” and that moto continues to be the moto guiding Rock Springs Gymnastics today. We need lots of help to make this event a success. Can you help?